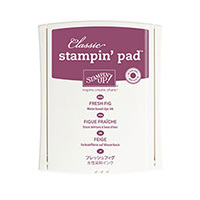 Eileen's Stamping Corner: Occasions Catalog is here, and Sale-a-bration rewards start today! Occasions Catalog is here, and Sale-a-bration rewards start today! The Occasion Catalog sales period starts today and if you don't have a catalog you can go to my Online Store by clicking the link in the upper left hand column of my blog to see the products. In addition, the Sale-a-bration rewards program starts today too. Sale-a-bration runs from now until March 31st, and for every $50 you spend before shipping and tax you can select one product from the Sale-a-bration catalog. Note - on page 17 and 19 of the catalog there are 2 products that can be earned for every $100 you spend before shipping and tax. You can see these products at my Online Store as well. 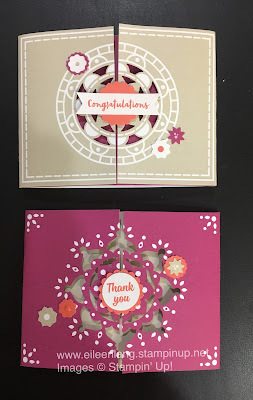 For my post today I am showing the cards I made using the FREE Mixed Medallions Card Kit. With this kit you get 8 trifold cards, 4 each of the 2 designs you see below. 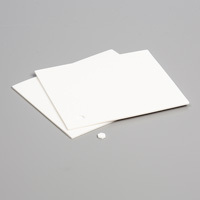 In addition it includes 8 white envelopes, 1 die cut sheet with English, French, and German pieces, and 75 adhesive dots. 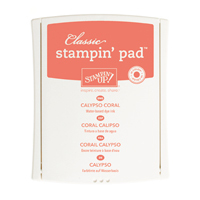 You will need your own ink and these cards coordinate with Berry Burst, Calypso Coral, and Sahara Sand. 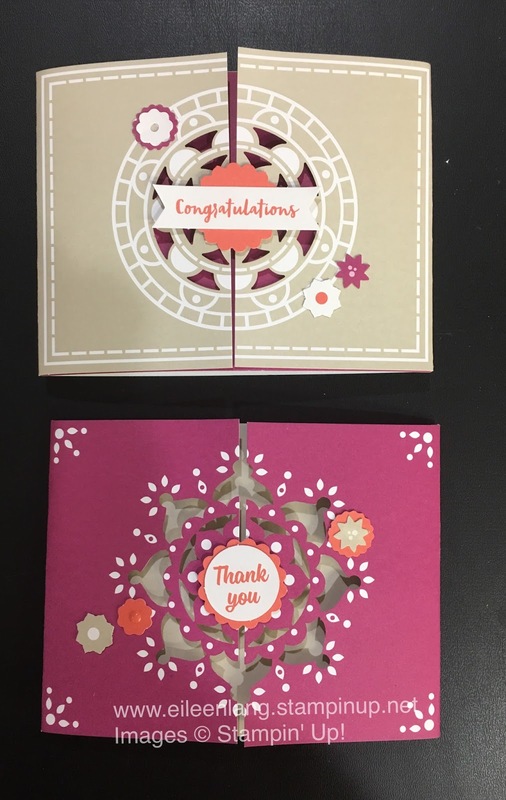 I also stamped sentiments on the inside of both cards before placing a small dimensional on the end of the front sentiment to help keep the card closed. If you are in a hurry these cards are great and would be nice to have on hand for that quick card. They would also make a nice gift.